Formula 1 circus is about to start. As of current most teams have already launched their cars. We will be keeping track of any driver changes and car launch in this space. Check them here as we recompile all the information for your easy reference. This space will be updated until all the cars are launched. Stay tuned! 1. New single tyre supplier – Pirelli. With new tyre supplier, a lot of uncertainties on how the tyres will actually work on last year’s developed chassis based on Bridgestone’s parameter. There is a lot of speculations that some chassis that were design to perfection on Bridgestones might have to undergo major revisions with the Pirellis. 2. Movable rear wings to improve overtaking – 2 laps into the race only then the device is allowed to be activated. Applicable when a driver is less than one second apart at pre determined location on track. 4. 107% qualifying rule. Drivers falling under 107% of the fastest time in Q1 will not be allowed to race. Last year, if this rule was to be enforced, all new teams might have suffered terribly and will not be racing. This year, it remains to be seen whether the new teams have improved. 5. KERS units will be optional for all teams. Will we see the repeat of the year 2009? where some of the teams which happen to avoid KERS were faster particularly in the beginning of the season. 6. Gearboxes must now last for five races instead of four. 7. The Double Decker Diffuser is illegal in 2011. It was said that it created 30% more downforce last year. With this gone, we might expect a slower 2011 car in comparison to 2010. 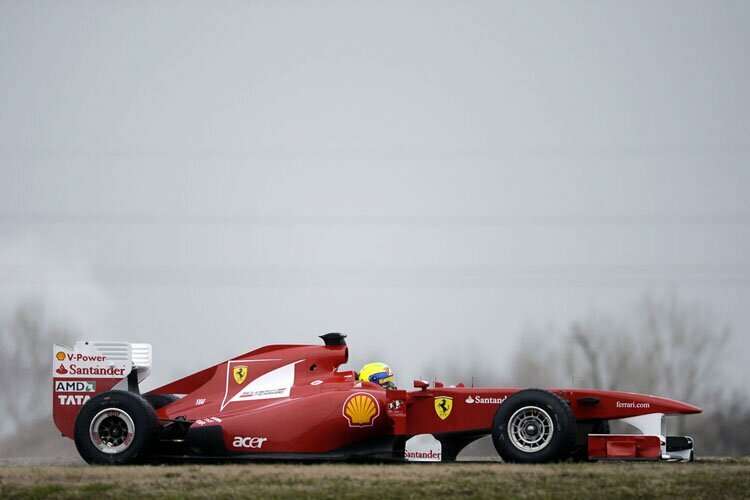 But it all depends on Pirelli’s performance nevertheless. 20 Races, the longest calender in F1. Indian GP will be added and it is scheduled to be the 18th circuit. Most of the top teams decided to get an evolution update, playing a conservative game. RedBull, looks like no difference at all, Ferrari, higher nose. McLaren should be similar. All in all expected of them. What Im looking forward is to see whether the new team will make it into the race. 107% rule will definitely kill them IMO.